This was 5 years ago. We had a mini birthday celebration for my brother and sister who both share almost the same birth date. Afterwards, when it was time for Dad give them his gifts, he told us to hold hands and prayed over us. A prayer so deep that you knew automatically, touched Christ. He spoke words of life over us and our children’s children. He taught us how to raise the altar of prayer, praise and worship in our families. He lead from his God given responsibility. He was and still is our mentor. He taught us what true love is by how he loved us and most importantly, our mam. He was truly a man of valor. Now a days, people get too busy and relegate their responsibilities to the helps. People get up so fast and leave their houses without covering their husbands and children with the blood of Jesus. Even our helps cannot ascertain whether we are families who truly are born again, because they have never seen us pray. Get up from your warm duvet woman of God and pray for your children. Go into your children’s room and speak life over them. Cover them by the blood of Jesus Christ and thwart every plan of the enemy against them. Let your helps be incorporated into your family altar prayers. 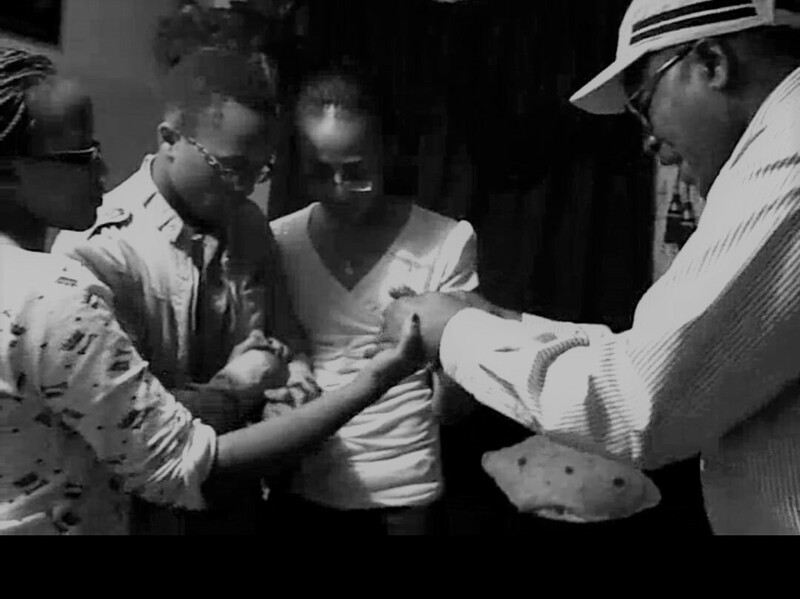 Let them know that you are a family that prays together! Let them know that you serve a living God and compromise is not allowed in your family. Anoint your helps room! We do it! Not because of anything, but because we refuse to be ignorant of the devil’s schemes. Pray that as she handles your children, she will handle them with the anointing of the Holy Spirit! Anoint her slippers and speak that her work will be pleasing to you! Anoint all and confess that as she handles your children, food, clothes, cleaning etc, that she will handle them with a Godly anointing! We simply let them take a pass, then tell them that they should follow! Anoint your husband’s clothes woman of God! (He knows I do it!). Speak favor, life, fruitfulness, the Lord’s countenance, faithfulness, and every good and perfect gift from the Lord! Anoint your wife man of God. (He does it!). You are the priest. Speak favor to her to to your children. Bless them! Surround them with the blood of Jesus. Refuse all negative tongues that rise against them. Cut their course in Jesus name! Speak fruitfulness over your children up-to the 10th generation! Arise woman of God and take your place! Arise man of God and take your place! Teach us to raise Godly altars in our marriages! Till we meet again Daddy. At the feet of Jesus. Next PostSUBMISSION WINS OVER A DIFFICULT or UNREPENTANT HUSBAND. Lovely piece.the picture speaks volumes and also is a challenge to me as a Mum and wife..